Hailing from a place in New York State called New Platz, Alex Luciano and Noah Bowman are a duo whose frenetic five-track EP Over Easy is a master class in contagious indie pop music. 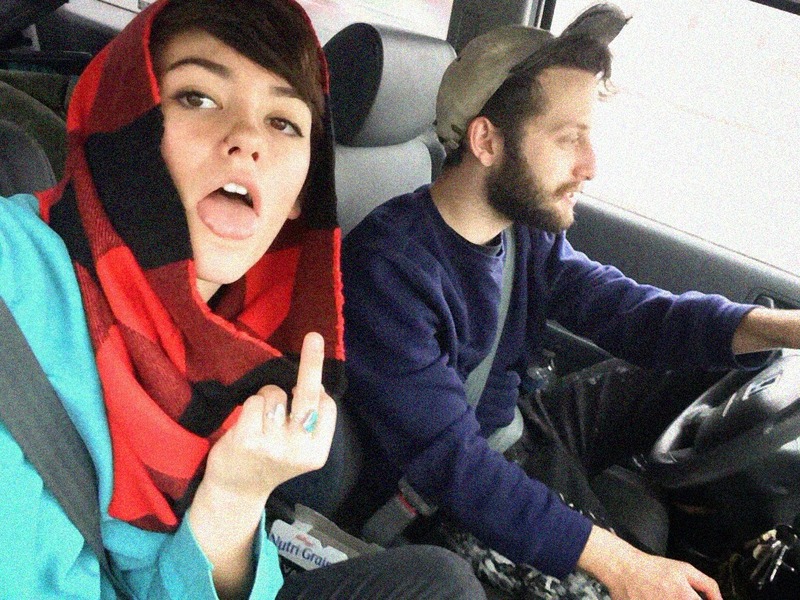 Soaking in an innate sense of energy, playfulness and pandemonium, Diet Cig is the ultimate alternative music tonic, steeped in double entendre lyrics and creatively sharp witticisms. The no-budget music video for Scene Sick is a wonder; a deceptively simple concept in which Luciano’s infectiously crazy dancing rubs off on to Bowman, ultimately rubbing off on all those watching. No doubt the seemingly effortless graphic continuity from one edit to the next necessitated marvellous blocking and accurate positioning, but what screams out most is just how happy both of them look. The two seem so instantly likable and involving that you hit the repeat button more times than one will admit to.